It is definitely springtime in San Francisco! 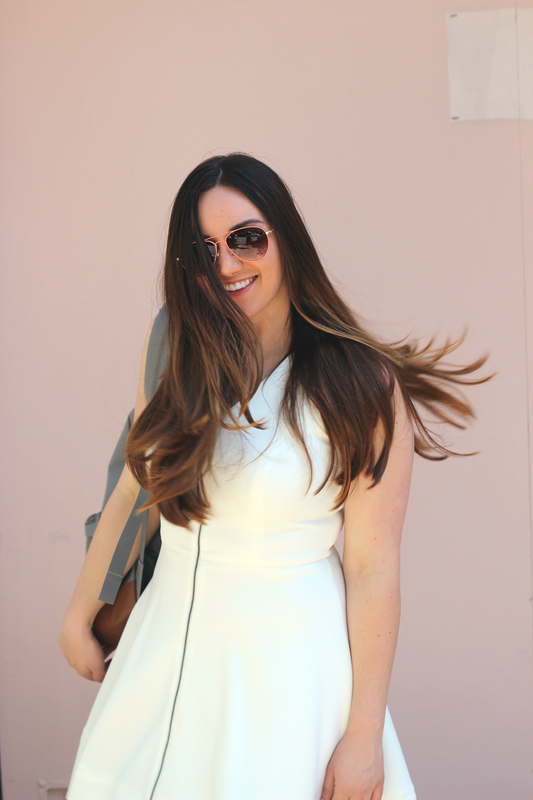 This past Sunday I took full advantage of the sunshine to pop on a bright white dress, slip on my sneaks, and head to the park for some quality time lounging and enjoying the day. 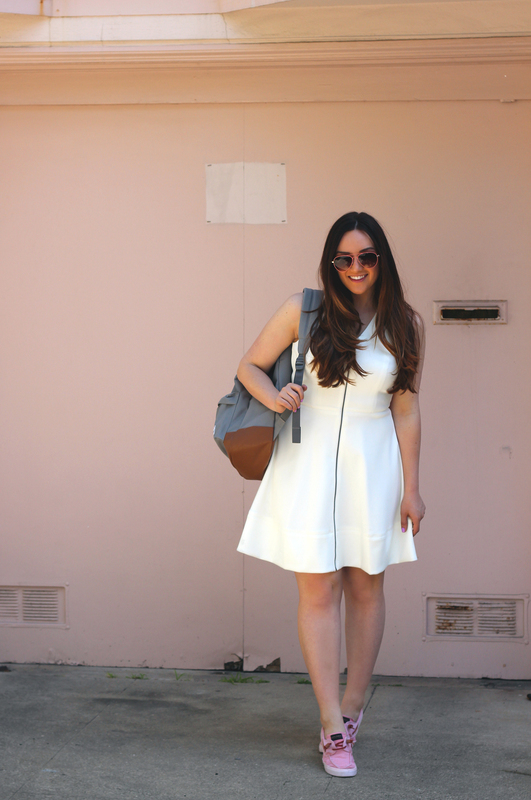 For a casual day, I wanted an easy and casual outfit so I opted for my Sperry slip-ons and a classic backpack. I’ve been a long time fan of Sperry (check my previous posts here, here, and here) so I was itching to add a new pair to my collection. 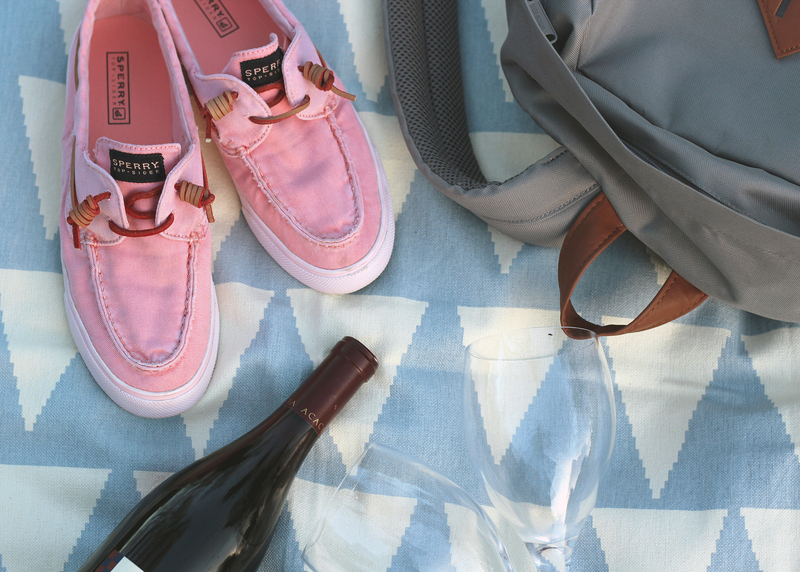 I love that Sperry puts a playful spin on the classic boat shoe with these slip-ons in bubblegum pink—so cheery! I’ve typically been wearing them with a casual tee and boyfriend jeans but I like that they work well with this dress too. It’s a win win situation if my shoes can be cute and comfortable, so I’m glad my Sperrys make the cut! 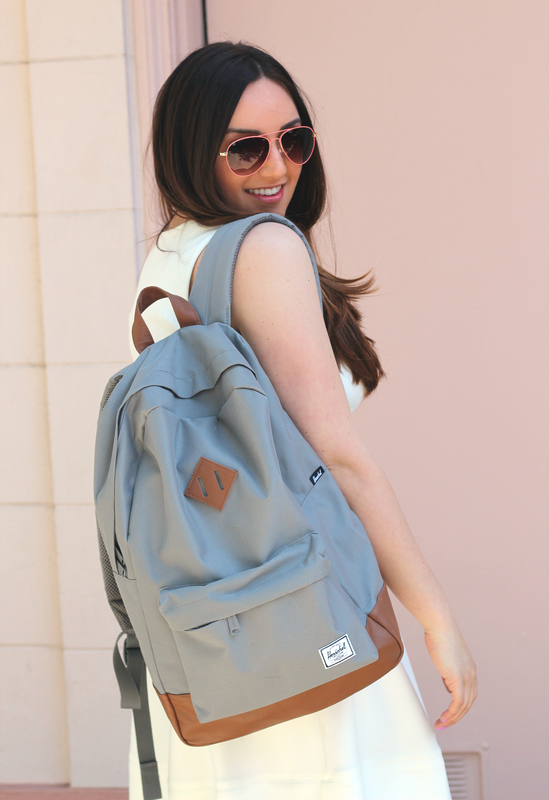 My Herschel backpack has been great during the week when I’m running around and need to tote along my laptop and essentials, and it works overtime as a great toss-it-all-in bag on the weekend. Need more Glam? Follow Just Add Glam here!